This is not your ordinary crossword or sudoku puzzle book. This is an intriguing book with a mystery to be solved. The Journal 29 captures the excitement of escape rooms in book form. What puzzle book is this? 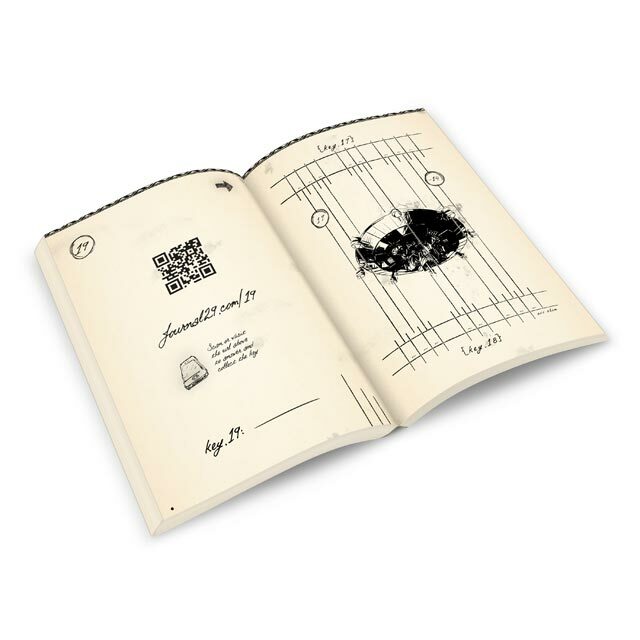 Journal 29 contains over sixty riddles that you solve on paper with a pencil and with an internet enabled device (preferably your smartphone) scanning QR codes in the book. The riddles need to be solved in succession as you need the keys to proceed to the next riddles. You are required to think outside the box so think to write, draw, search, fold pages, combine and more. Where can I buy Journal 29? The Journal 29 hardcover puzzle book is now available on Amazon.